Get free solar PV installation quotes and impartial advice about solar PV. Solar Choice articles about where and how to install different components of a solar pv power system, including inverters, solar panels, batteries, and mounting brackets. Free Solar PV system quotes and advice Australia-wide: Western Australia (WA), New South Wales (NSW), Victoria (Vic), South Australia (SA), Australian Capital Territory (ACT), Queensland (Qld), Northern Territory (NT) and Tasmania (Tas). Can you go solar with a south-facing roof in Australia? 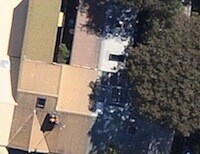 Is it okay to put my solar panels flat on my roof, or should they be tilted? Solar farm projects near airports: Is glare an issue? Solar inverter decibel levels: Do solar farms make noise? Solar Panels on your roof and where else? How does my Solar Energy Panel perform over time?